Searching for the ultimate beach bag? Whether you’re loading up for a day trip to your local beach or preparing for a week-long getaway in the Caribbean, these beach bags will prove useful for any family. 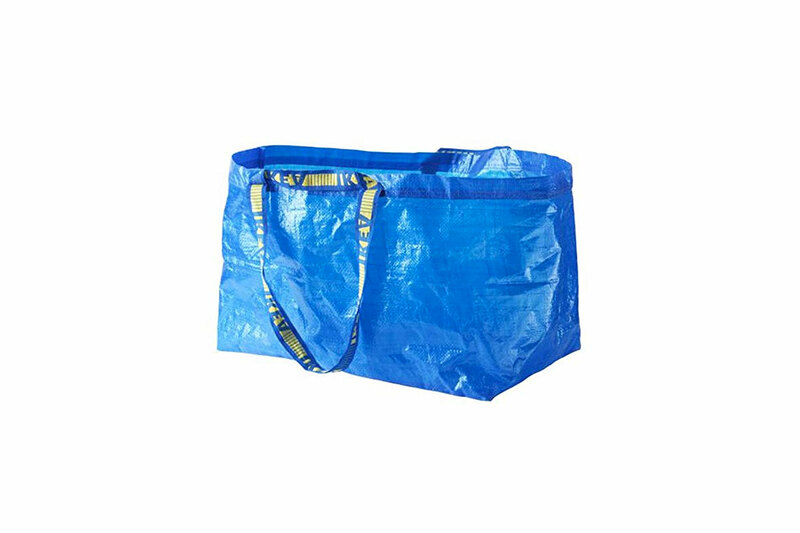 It doesn’t get better than the big blue bag from IKEA! “It fits in all of our towels and is waterproof,” says Kristin Reinhard of Swiss Family Travel. “We use it for lots of things—swimming in the summer, and skiing in the winter.” And at just $6 on Amazon Prime, it’s a no-brainer! The Bogg Bag was invented by a mom and designed for families—so you know it’s good. “It’s made out of the same stuff Crocs are made of, and stands up nicely,” says Annalyn Bell of KidsTravelBooks. “Holes in the bag mean you can easily rinse it off, too.” Inside, you’ll also find clear pockets for storing keys, phones, sunglasses, and other small items. The Odyseaco Aruba Mesh Beach Tote is a beach bag—and a cooler—in one. Need we say more? The L.L. Bean Boat and Tote is a tried-and-true classic bag for the beach. It’s simple in design—there are no pockets or hidden compartments—but that’s why we love it. 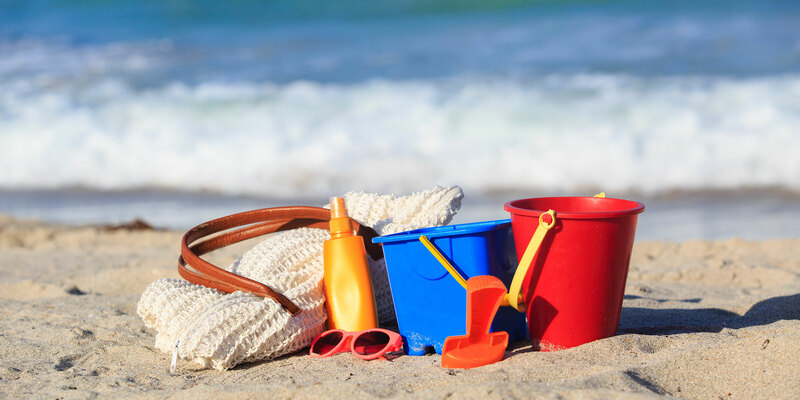 Just throw your beach towels, goggles, snacks and other essentials in and head to the beach! The Boat and Tote comes in a wide variety of colors and four different sizes (you’ll want the Extra-Large). You can also choose between a regular and long length. Get it monogrammed to add a personal touch! This beach bag ensures you’ll leave sand exactly where it belongs—on the beach! The CGear Sand-Free Tote Bag II has a patented dual layer weave technology that forces sand to stay out of the bottom of it. There’s an internal pocket for a phone, wallet, keys and/or other precious items, as well as two external pockets for additional storage. The bag can easily hold a few towels and beach toys, too. Sand and saltwater somehow find their way into all your essentials at the beach, don’t they? Keep your phones, clothes and other valuables dry and sand-free with the Sea to Summit Lightweight Dry Sack. This 13-liter bag is also useful for hiking, biking, and other outdoor adventures—and it’s affordable, too! The Saltwater Canvas Family Mesh Whale Bag might not look like it holds much. But it can actually fit six beach towels, plus snacks, drinks and beach toys! It has nine different pockets for storage, including a zipper pocket to protect smartphones and other valuables. “Because it’s made of mesh, it also dries quickly and the sand just slides right out,” says Jodi Grundig of Family Travel Magazine. We love the versatility of the BAGGU Duck Bag Canvas Tote! This ultra-chic bag comes in a variety of colors and is perfect for any type of vacation—whether you’re heading to the beach, an amusement park, or just out to dinner. Made from 100-percent recycled cotton, the bag offers an interior snap pocket for storing your hand cream, lip gloss, keys, phone, and other small items.